Please submit any notable activities. community service, leadership experience, and out-of-classroom involvement. Please answer the following questions in paragraph form. The Reading Collegiate Scholars Committee will consider your responses as part of the evaluation process. 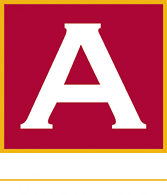 Briefly describe your interest in attending Alvernia University, and how receiving the scholarship will impact your future goals. Is there anything that you would like the committee to know about you? Please describe here. When submitting this application please be sure to upload one letter of recommendation from someone who can attest to your community service contributions and leadership qualities within your school and community. It is also important to have completed the 2019-20 FAFSA, and included Alvernia University on the list of schools it is sent to. If you have any questions, please contact Alvernia's Admissions Office : admissions@alvernia.edu or 610-796-8269.